") and that he finds should have a new (and different) life. 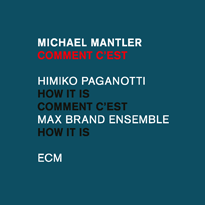 Most of it has never been performed live, nor in these new orchestrations, now for a larger orchestra, to be conducted by Christoph Cech, consisting of 4 woodwinds, 3 brass, 16 strings, marimba/vibraphone, and additional soloists Michael Mantler (trumpet), Bjarne Roupé (guitar), Harry Sokal (saxophone) and David Helbock (piano). 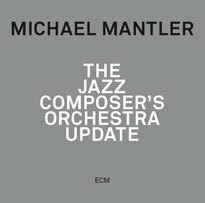 Mantler has always considered himself an "orchestral" composer, even when (mostly economical) circumstances dictated smaller ensembles (at times down-sized to the absolute minimum, such as the duets of Alien and For Two). As with the Jazz Composer's Orchestra Update, these new pieces should again present an entirely new view of some of his life's work. The performances will be recorded for a future CD release. Because of the size of the orchestra, audience space will be somewhat limited and early reservations are recommended to secure admission.